What is a carbon footprint? It is the measure of greenhouse gases that one is responsible for creating or units of carbon dioxide that are produced in tons per year generated by transportation, home energy costs, diet, recycling practices, and waste production. Every day in the season of Lent, we will post a challenge on our Facebook Page to help you reduce your carbon footprint and care for this world God has given us. Are you up for the challenge? Week 1: Reduce your carbon footprint through how you eat. Week 2: Simple ways to reduce your carbon footprint around your home. Week 3: Reduce your carbon footprint through how you drive and travel. 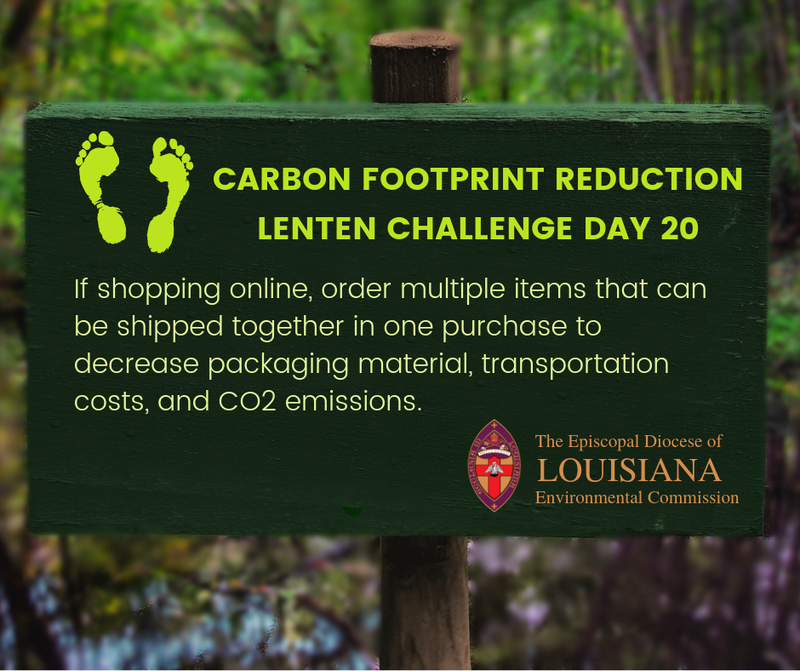 Week 4: Shop your way to a reduced carbon footprint. Week 5: Reduce your carbon footprint in the garden. 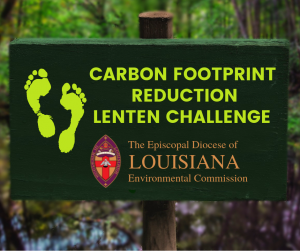 Click on each thumbnail below to take a sneak peek at upcoming challenges. Look for more information daily on our Facebook page. Challenges days 22-40 coming soon! 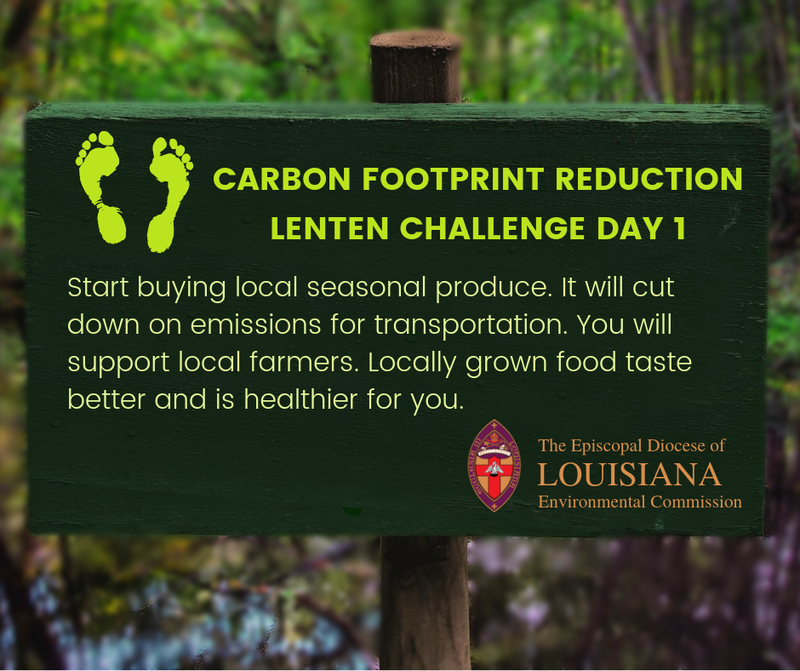 The Carbon Footprint Reduction Lenten Challenge is brought to you by the Environmental Commission of the Episcopal Diocese of Louisiana. Join them on Saturday, March 16 for Serving & Preserving Our Environment. More information and registration here: http://bit.ly/edola-serving-preserving. St. John’s Cathedral, Denver, is encouraging a single-use plastic fast this Lent and beyond. You can view the calendar by clicking here. There is also another plastic fast calendar available from the Anglican Communion Environmental Network on the Diocese of New Westminister, Anglican Church of Canada, You can find it by clicking here.